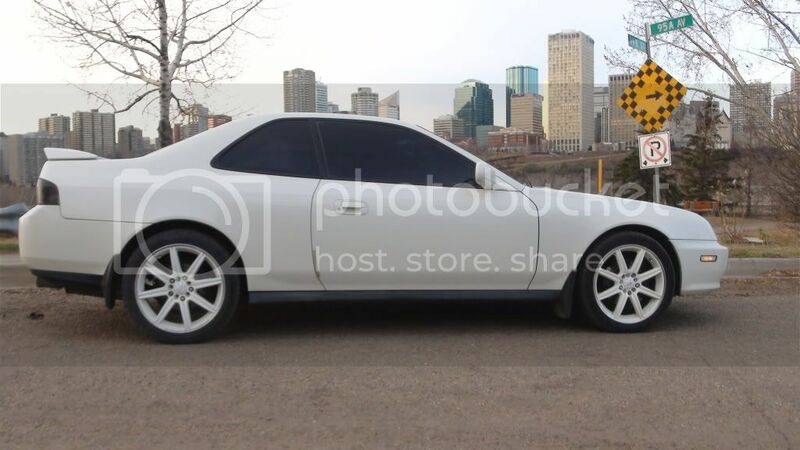 So i've had her since the summer, it came with the custom pearl white paint job, the guy i bought it from gave me the rims with it i just had to put em on, i blacked out the windows and tailights cause it brings out the color. AEM intake system with CV filter and a Factory Tuned support bar. For sound system i got a 15 inch Basswork sub, with two Pioneer speakers and a Sony amplifier. also lowered. but i only got to drive it for about a couple months before i had to park it for the winter. I gotta do some fix-ups once winter ends but besides that she's a great car. Looks nice, should be posted in the "Members Rides" section though. 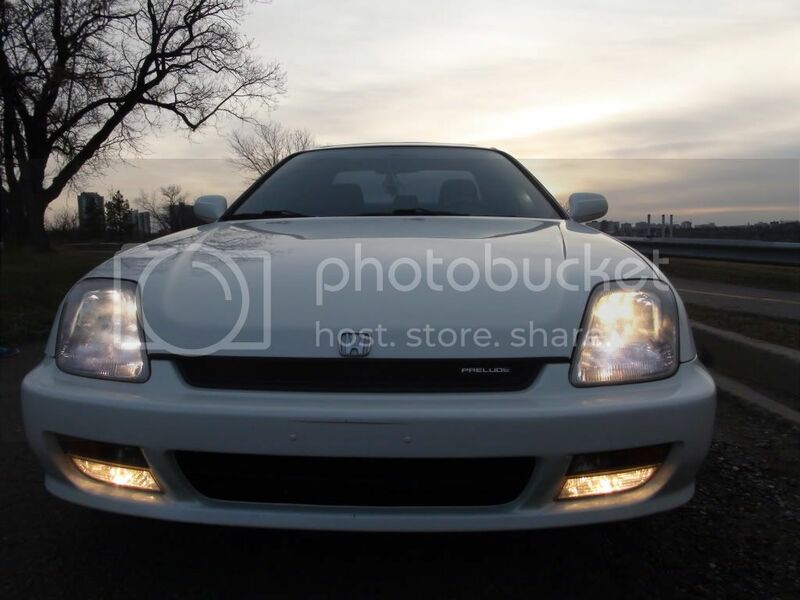 Save up for some OEM lights too. Just my $0.02. 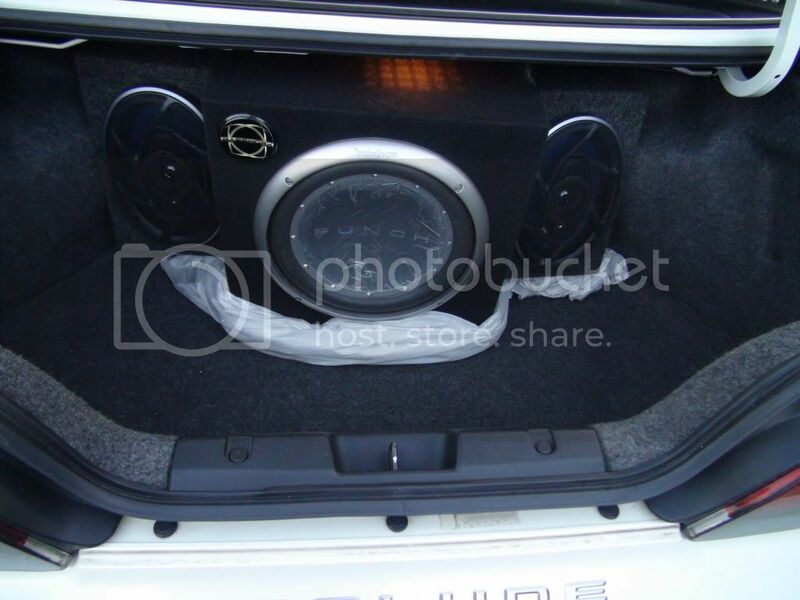 Also, thats a rockford fosgate punch sub in a bassworks box. I see them now. They are OEM, I believe. 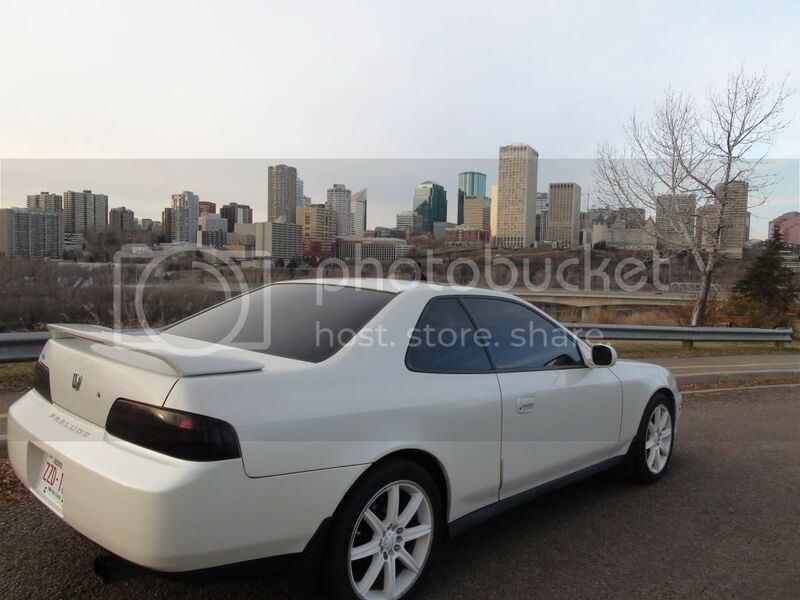 I think Prelude taillights are too clean to do anything to, although I sometimes like the light tint on the lower half. Looks pretty good, what are you planning to do to it? 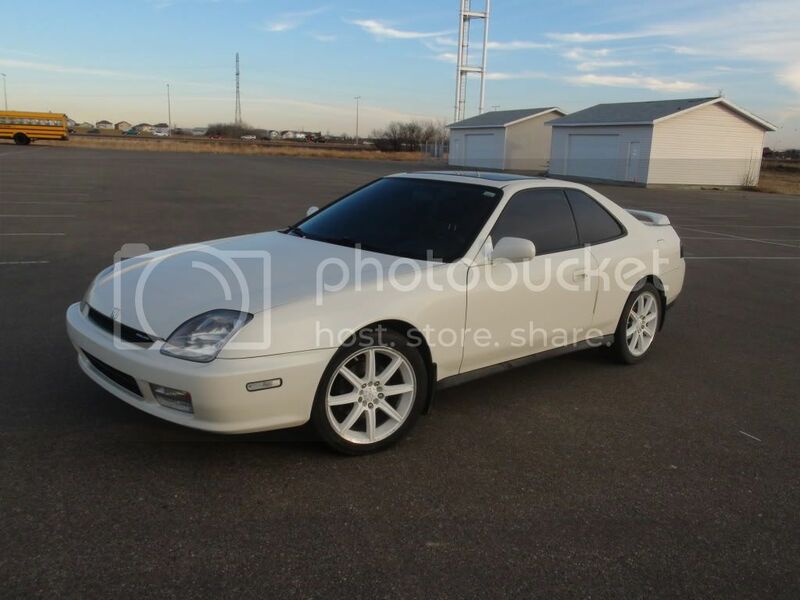 Clean Lude. I've been thinking about white wheels, just haven't seen them on a WP 5th gen....and I like! 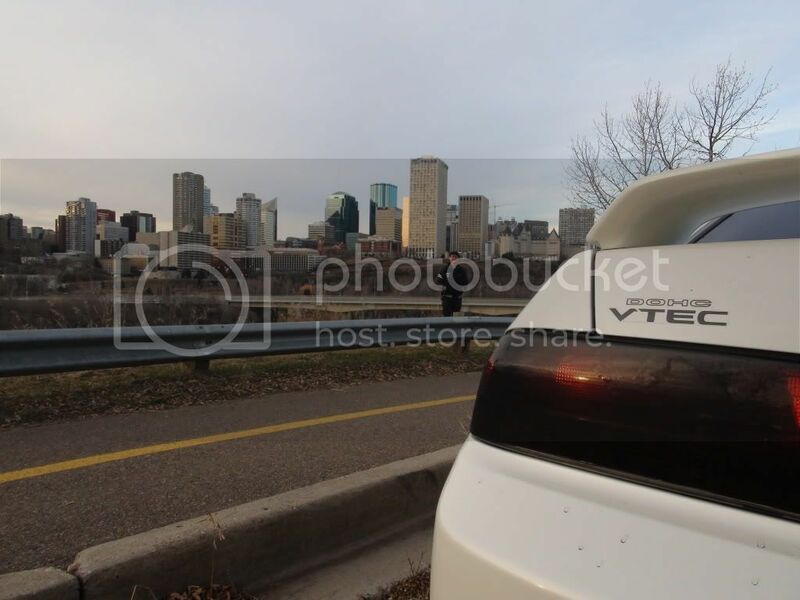 Yeah the tailights are OEM, just hard to tell since i put the tint on. 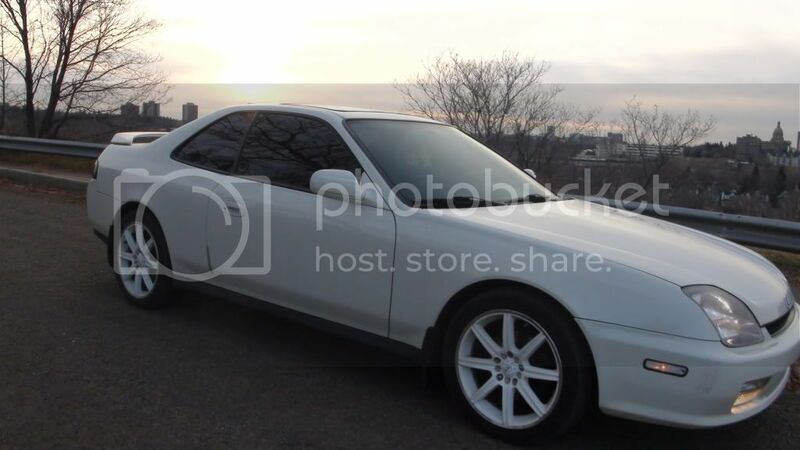 i bought this car knowing that preludes are great project cars so theres quite a bit i still wanna do. but theres still a lot more winter months here so i just gotta be patient. i'll keep you guys posted! I think the tails look good bro. Clean whip. Agreed tho slam it lol. If you wanted a project you have a great canvas to work on.